Sodium overload is a major health problem in the United States. The average American consumes about 3,400 milligrams of sodium a day, more than twice the 1,500 milligrams recommended by the American Heart Association/American Stroke Association. That’s in large part because of our food supply. More than 75 percent of our sodium consumption comes from processed and restaurant foods. If you are keeping an eye on your sodium intake, you may think avoiding chips and fries and not adding salt to your food is all that it takes, but there’s more that you need to be aware of, shares Susan Mills-Gray, nutrition specialist with MU Extension. The American Heart Association introduced the “Salty Six” to raise awareness of commonly eaten foods that may be loaded with sodium. Breads and rolls — One slice can contain as much as 230 milligrams. Cold cuts and cured meats — Deli or pre-packaged meats can have as much as 1,050 milligrams. Pizza — When meats are added to a pizza, one slice can contain up to 760 milligrams. Poultry — Avoid poultry products “enhanced” with a sodium solution. Three ounces of chicken nuggets can contain almost 600 milligrams. Canned soup — One cup of chicken noodle soup can have up to 940 milligrams. Sandwiches — When you combine meat, cheese, condiments and bread, that innocent looking sandwich can easily top 1,500 milligrams. 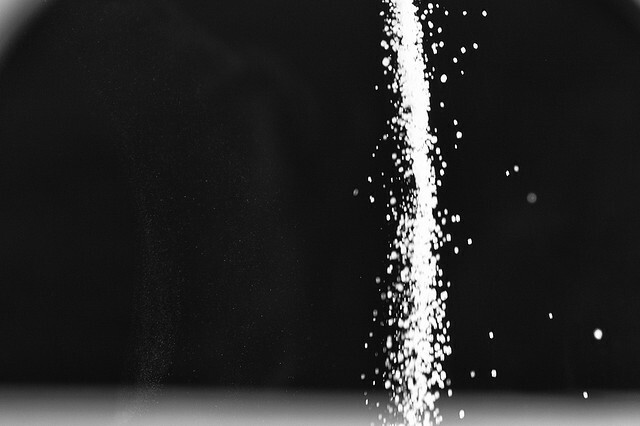 Sodium doesn’t just affect your heart health, but your physical appearance as well. Excess sodium consumption may make your face feel puffy, give you bags under your eyes, increase swelling in your fingers and make your jeans look and feel tighter. “Being aware of the amount of sodium you consume is key not only to better health, but also feeling more attractive,” adds Mills-Gray.